I used to ride my bike past a skatepark on my way to work. I wanted to photograph the skaters who hung out there –they looked so connected and like they were having so much fun. I thought of skateboarders as a rebellious crowd and I wanted to be a part of that, but I didn’t know how to enter their world. 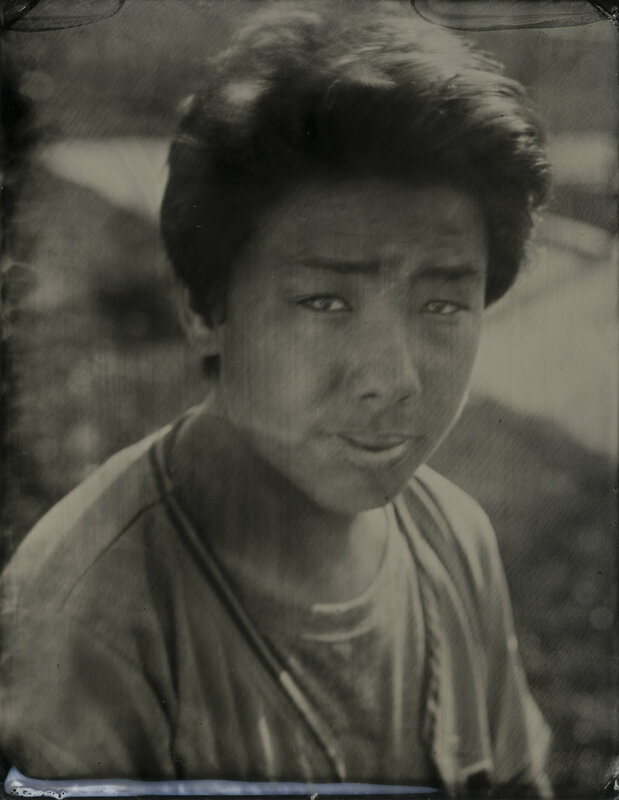 Years later, I learned the wet plate collodion process to make tintypes and eventually built a portable darkroom. 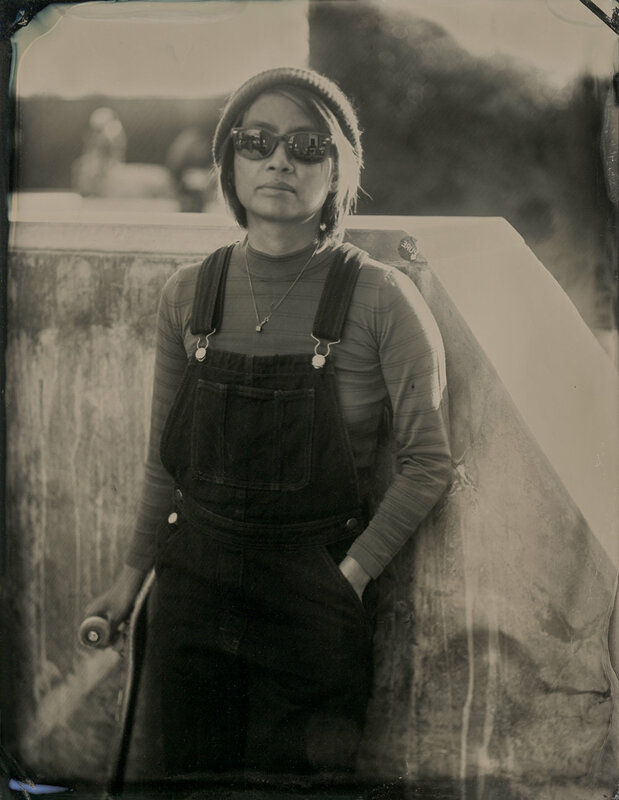 For the obligatory testing of my new darkroom, I subconsciously headed to the Berkeley skatepark. 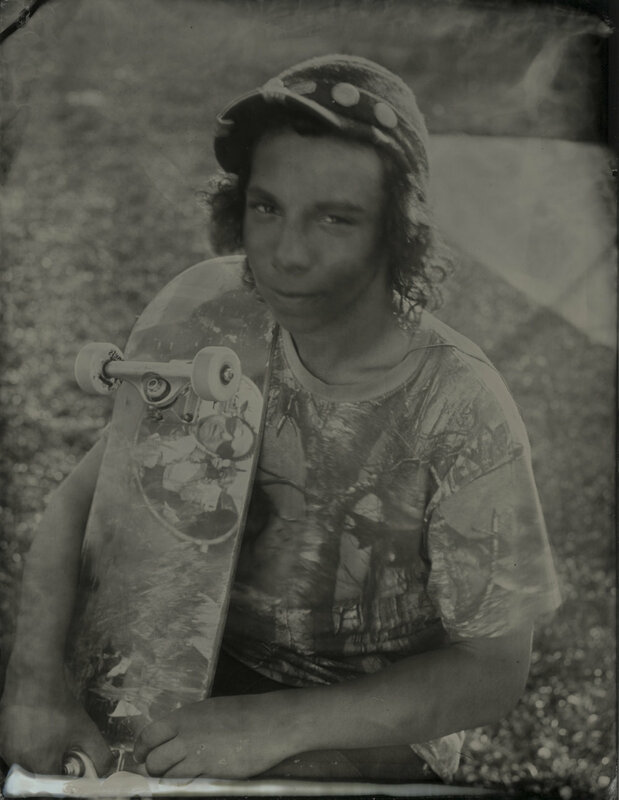 The wet plate collodion process consequently became my reason and excuse to finally go to the skate park and photograph. 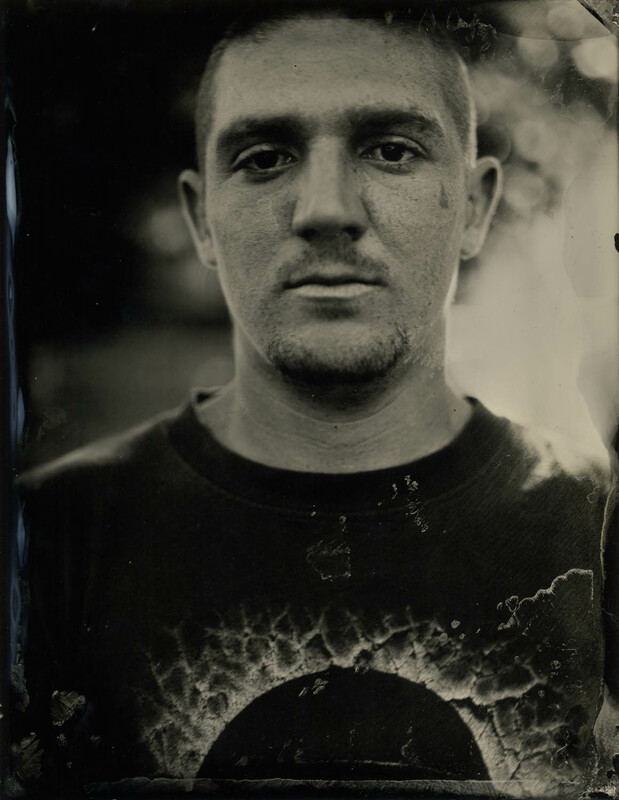 When I made my first skater tintype in 2010, I was immediately struck by the beauty and bond of merging a contemporary culture with a 160 year-old photographic process. 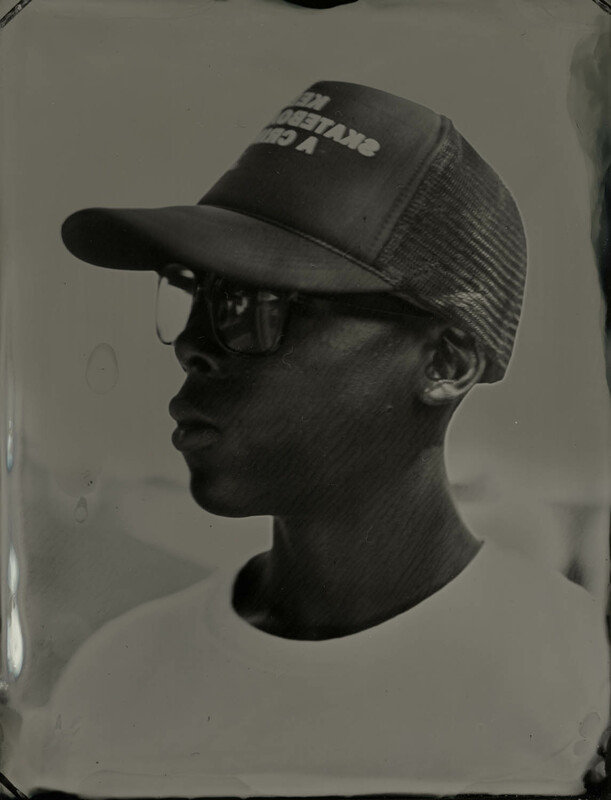 As I observed and interacted with skaters from varying communities, I quickly identified a depth to this culture that had been lurking just under the surface, which inspired me to keep making these photographs. 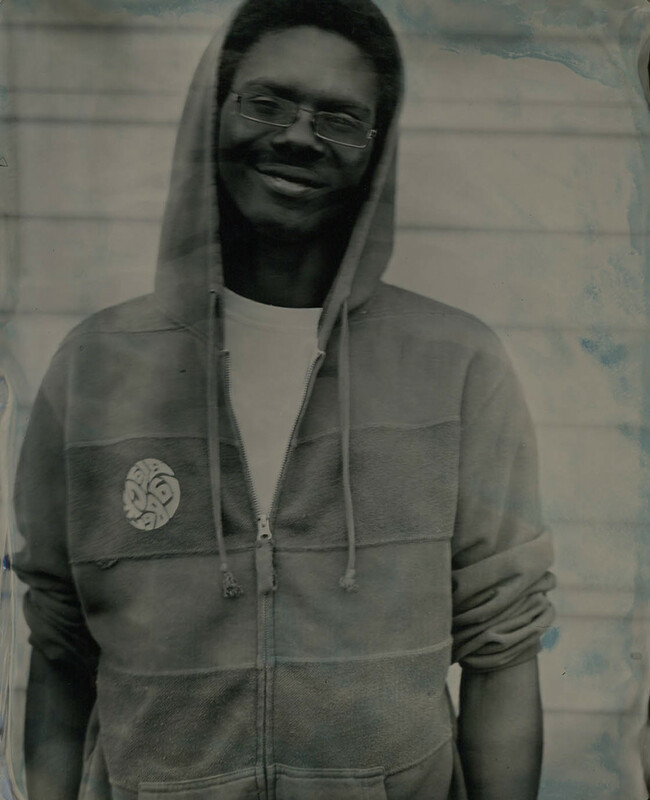 Going to skateparks, meeting skaters and making tintypes is intimidating and exhilarating. Approaching a group of strangers who are intent on doing their thing, skeptical at times of onlookers, puts me outside of my comfort zone. There are easier days and harder days. People notice me, but they don’t necessarily approach me, nor I them. I don’t want to break their momentum or interrupt their focus; I must overcome my inhibition. I have to get their permission as well as give myself permission to interact. When this boundary is broken, the reciprocal interest is clear and I often learn they have been as curious about me as I them. 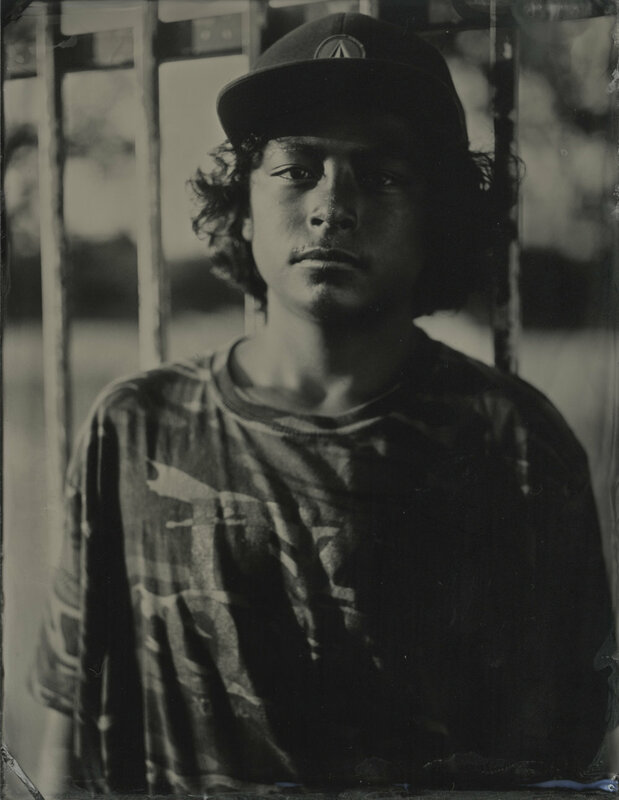 Employing a large format camera in combination with the wet plate collodion photographic process demands a subject to be stationary for a prolonged time. The sitter must remain motionless for over 30 seconds --easier said than done and harder still without smiling. Most people’s learned reflex when sitting in front of a camera is to smile, portraying some sort of artificial moment of photographic happiness. 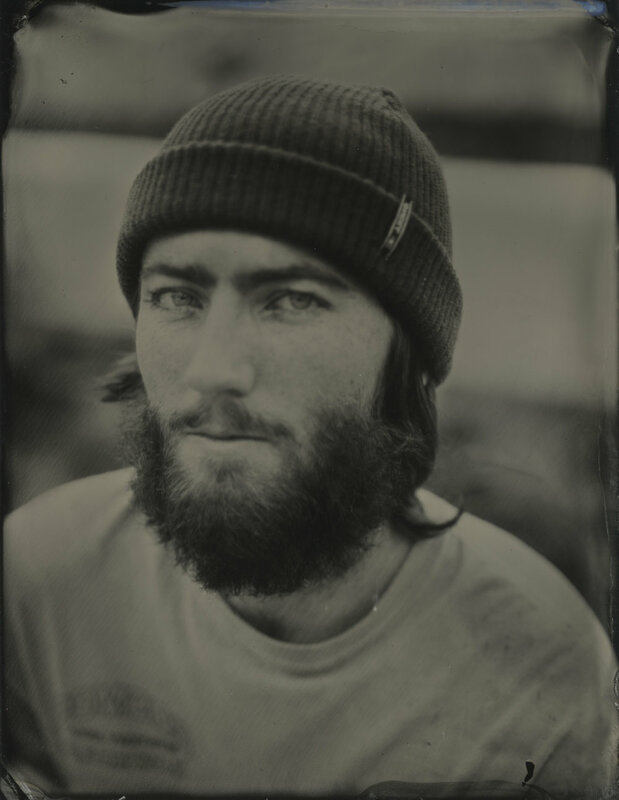 When I ask my subjects not to smile, there is often a sense of surprise and relief --even the from the most subversive skater. Beyond this request, the choice of pose is theirs. 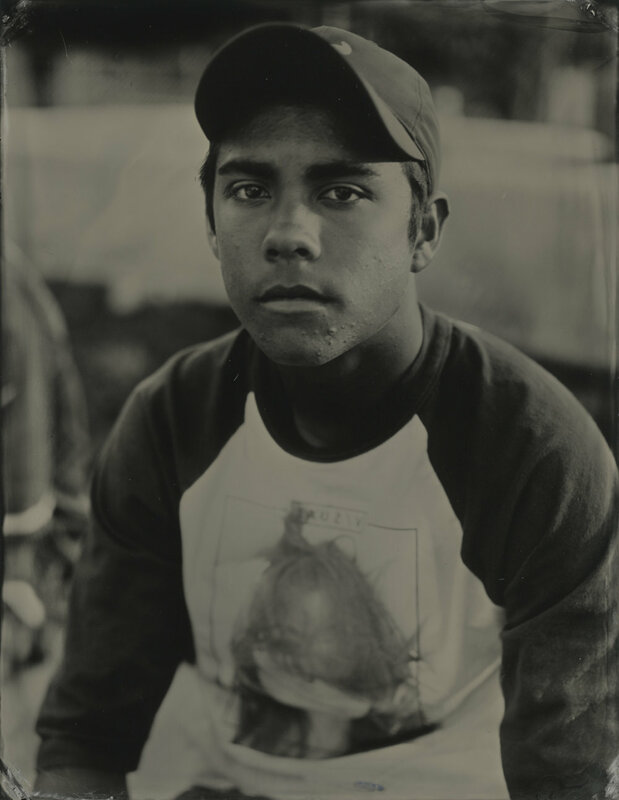 The resulting tintype portraits radiate a unique honesty not often found in modern, faster processes, offering a glimpse beyond their image and possibly into character: pensive, tough, innocent, anxious, distracted, playful. This behavior --this rebelliousness is what I craved when I was young. What I have come to realize as I watch skaters now, is that I still crave this. But what “this” is, is an obsession, a determination. I admire this quality. 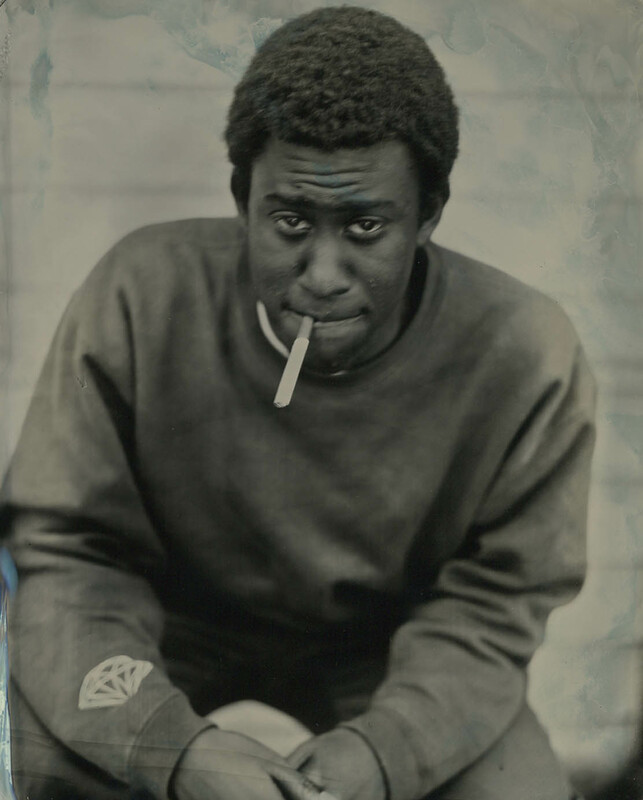 Perhaps I have it, too, rebelling against the status quo of digital photography. Instead of moving to binary code from a fast, hand-held film camera, I made a U-turn to the past, to a photographic process that requires a tripod, a lengthy set up and a car full of equipment; mixing raw ingredients to create chemistry that can change its mood depending on the direction of the wind. 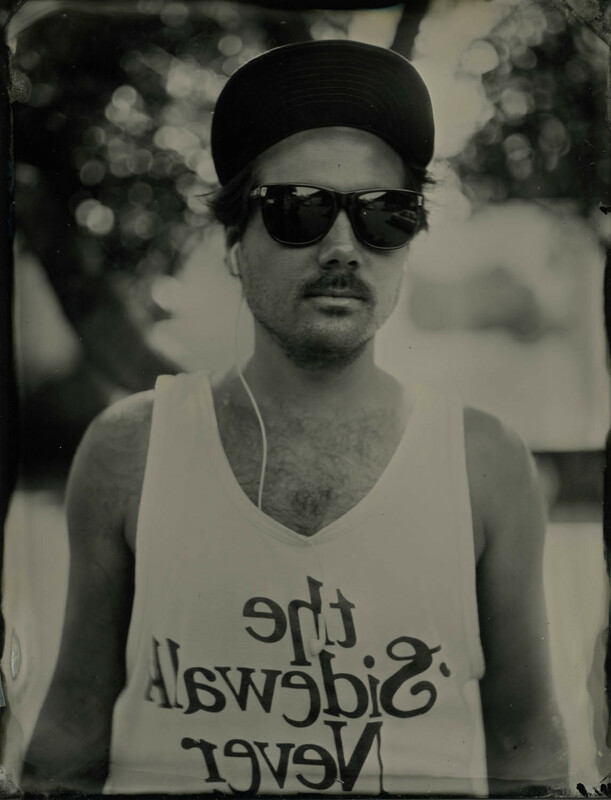 Perhaps wet plate collodion is my rebellious, non-conformist sport, my skateboarding. I’d like to thank every skater I have encountered on this journey for welcoming me into their community and trusting me to look and listen, allowing me to share the ride. Their obsession --my obsession.